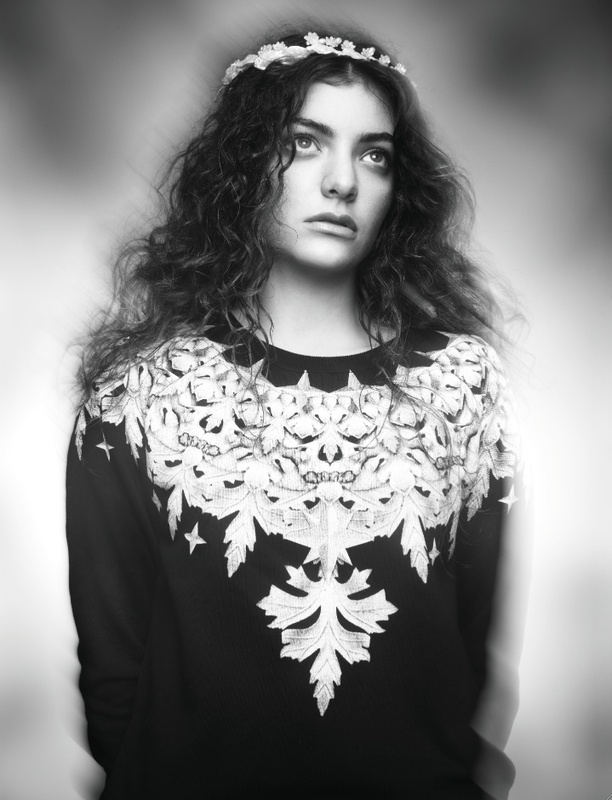 On her debut album Pure Heroine, the most striking things about Ella Yelich-O’Connor—better known as Lorde—aren’t the maturity and self-assurance she flaunts at such a young age (discovered at 12 and releasing her major-label bow at 16, she only recently turned 17), or that she arrives as such a fully formed artist from the relative middle of nowhere (Auckland, New Zealand). No, the true mind-blowers are that this precocious singer-songwriter creates such sophisticated and entrancing pop music with the most minimal of ingredients—think of Laurie Anderson at her most stripped-down, crossed with Bats for Lashes and Lily Allen (a far more apt comparison that the Lana Del Rey and Grimes nods she most often gets)—and that she’s courageous enough to almost completely repudiate the obsessions with physical bling and digital self-aggrandizement (read: Internet fronting) that dominate not only the current pop charts, but much of the ever-Tweeting, constantly-texting world today. First, the music: Lorde crafts it with producer Joel Little, keeping her husky voice front and center, and decorating the soundscape with the bare minimum of a thumping bass drum, a clinking cowbell, finger-snap percussion, or a droning synthesizer. Somehow, coalescing around this voice and the magnetic personality behind it, these sounds combine to simultaneously evoke both a huge swath of the current soundcape—electronica to indie-rock, and hip-hop to synthpop—and nothing so much as Lorde herself. 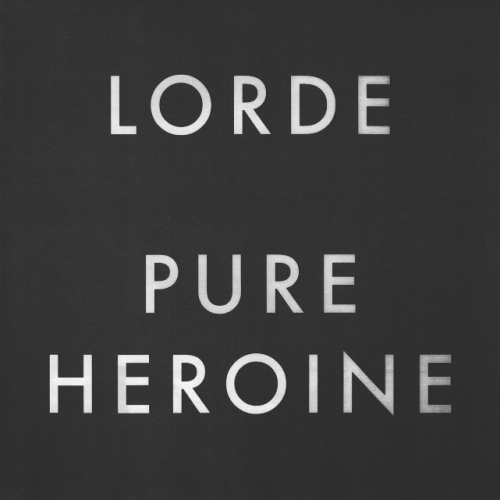 Now, those lyrics: On an initial, casual listen, you’re forgiven for thinking that Lorde’s themes are familiar teenage ennui crossed with a snarling dismissal of everything and everyone around her. (“Whatever!”) But she’s actually an existentialist rebelling against an age of rampant materialism, searching for something more, something important, something (dare I say) authentic. “Never not chasing a million things I want/And I am only as young as the minute is full of it,” she croons on the opening track, “Tennis Courts.” “Getting pumped up from the little bright things I bought/But I know they&apos;ll never own me.” And things only get deeper from there. As noted earlier, like many teens, Lorde is bored, but she doesn’t think anyone else’s life is more interesting. “We’re never done with killing time/Can I kill it with you?” she sings in “400 Lux.” She’s frustrated living in the middle of nowhere, but she doesn’t think life is better under the glitzy lights on the gold-paved streets of pop’s promised land. “I’m not proud of my address/In a torn-up town, no postcode envy,” she relates in the surprise hit single “Royals.” “We don’t care, we’re driving Cadillacs in our dreams.” Unlike every other teen pop phenom (hello, Miley! ), she’s not eager to become an adult any quicker than she’s already getting there. (“It drives you crazy, getting old”—“Ribs”). And rather than romantic love, she’s trusting in building a community of people in similar straits, broke and stuck in the mud, to transcend and build a better way to live. “We live in cities you’ll never see on screen/Not very pretty, but we sure know how to run free/Living in ruins of the palace within my dreams/And you know, we’re on each other’s team” (“Team”). Mind you, none of these distaff modern Holden Caulfield ruminations would mean a thing if they weren’t coupled to the singer’s seemingly casual but actually very nuanced delivery, to say nothing of those melodies that are every bit as slyly insinuating. The more you listen, the more there is to love, and the more you want to listen again.